Today we've got a guest post by the Leslie from Love Rubie. Leslie has written about how to make Zipper Tab Handles for the free Pampering Pouch. Hello everyone! First off I'd like to give a big THANK YOU! to Samantha for giving us this amazingly versatile pattern for FREE! 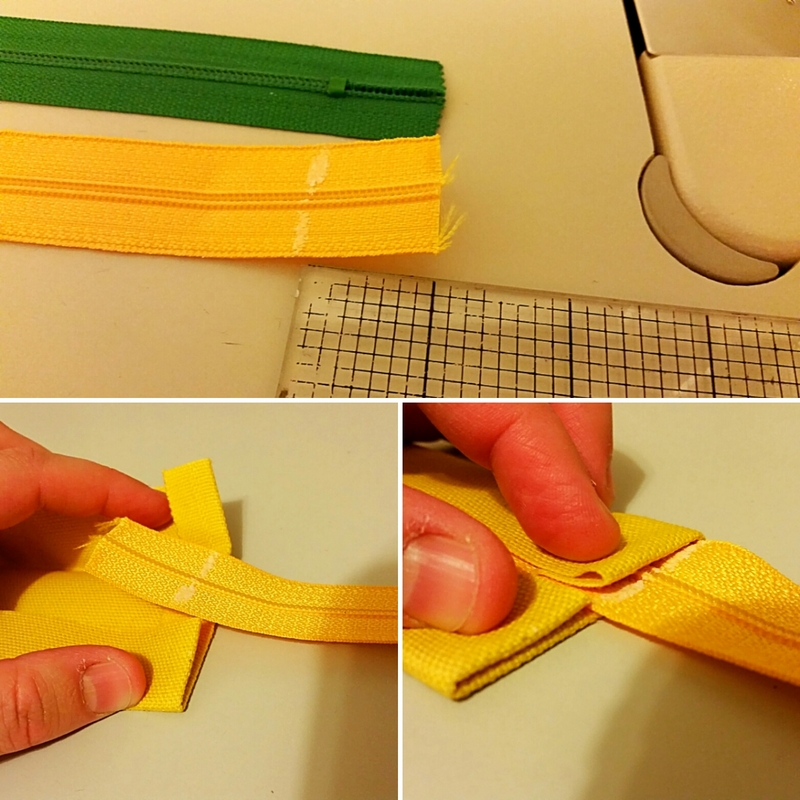 and for letting me share this nifty little idea for zipper tab handles! I simply love the look of them on the Pampering Pouch, plus they make a great location for your personal label! 1. Start out by cutting two 4”x8” strips. I'm using duck cloth, so if you’re using something of similar weight you won't need interfacing. If you’re using a lighter weight cotton then go ahead and add interfacing to each strip. I, personally, would probably go with Pellon 809 to interface a lightweight cotton as I prefer a heavier duty strap. But you can use whatever you prefer. 2. 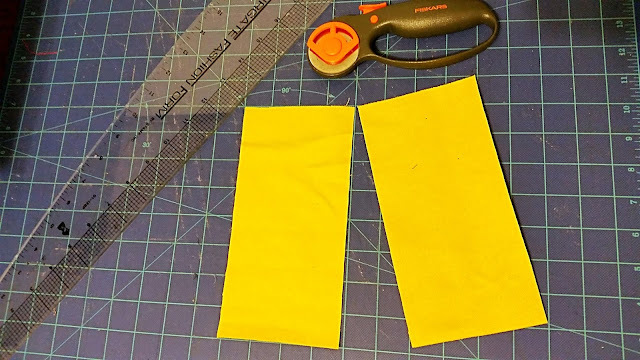 Once your strips are cut (and optional interfacing applied) fold the long sides in so that they meet in the middle and then iron. Then fold in half and iron again. 3. 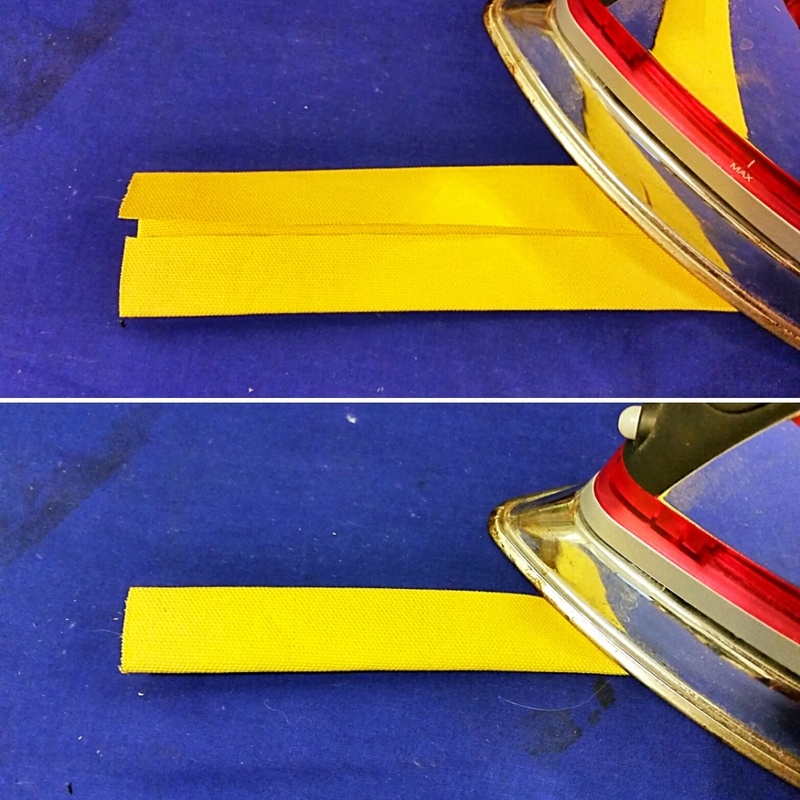 Now you'll want to unfold your strip and, whichever end will be the top of your strap, fold down 1/2". You can iron this down if you want but I didn't. 4. 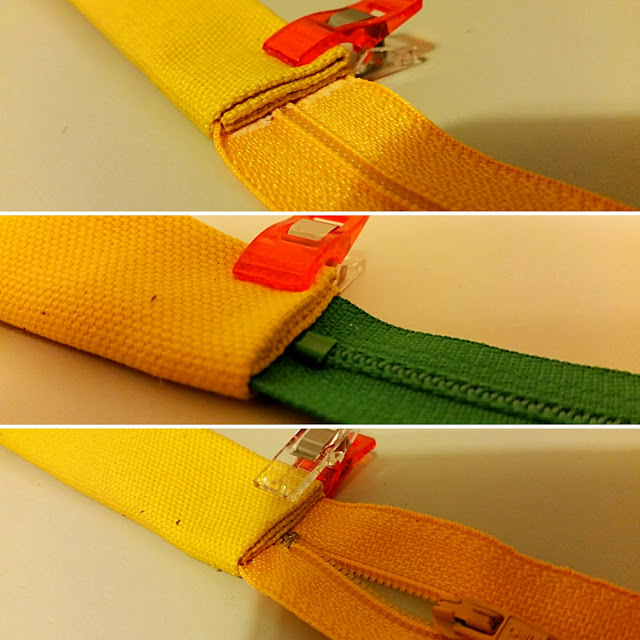 If you’re using a zipper that is exactly 22" slide the folded end of your strap up to the zipper stop on either end of the zipper. 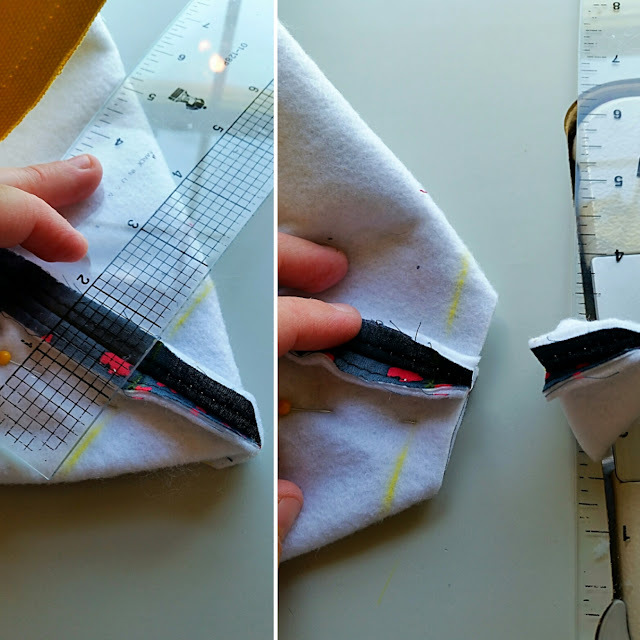 If you cut down a zipper to 22", measure up 1" from the cut end, mark, and place the folded end of your strap at that mark. 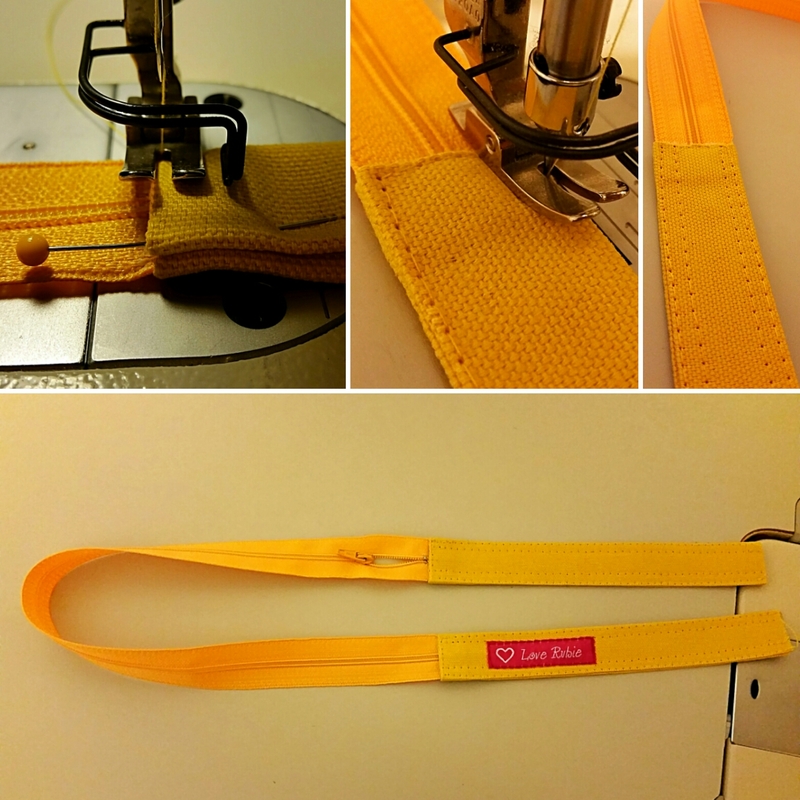 You'll place the zipper end within the strap then fold as pictured and clip or pin in place. 5. Now sew the top of the strap and down both sides. I chose to sew down each long side twice but you can sew it only once. It's whatever look you prefer. 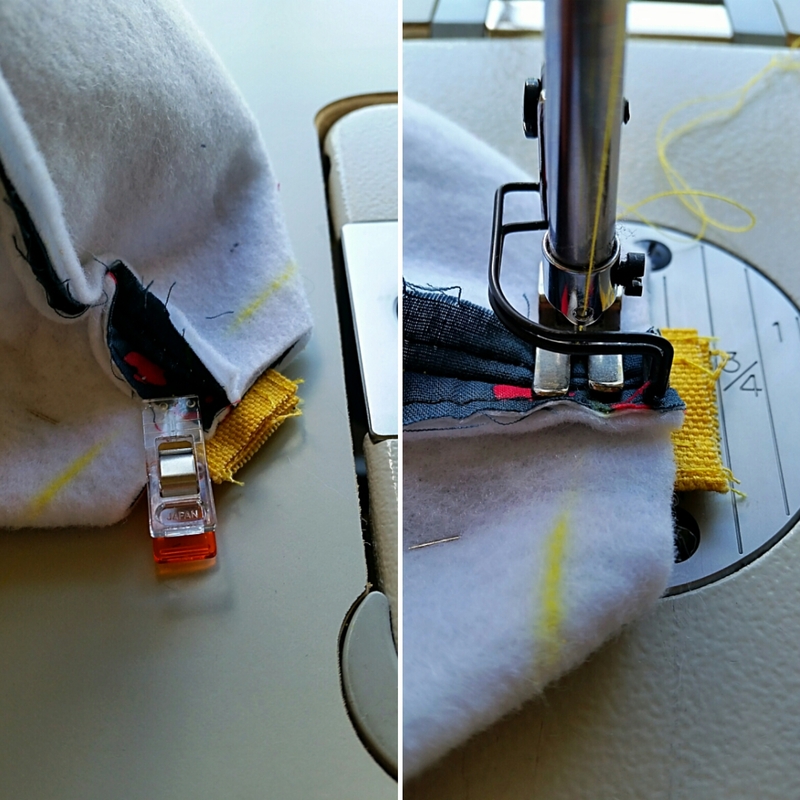 Once sewn, follow the pattern instructions to install your zipper and sew the outer main and lining. Make sure to open your zipper before you sew the outer main sides and bottom together! When you get to boxing the outer main corners, stop, and continue on with this tutorial. 6. Now that you’re ready to box your corners you'll want to go ahead and draw your 3" line per the pattern directions but don't sew it just yet. 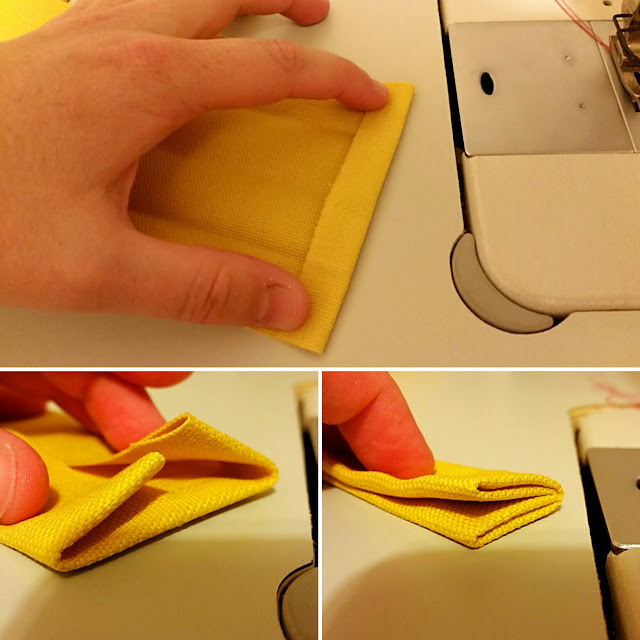 Place a pin off to the side so your fabric doesn't move and cut 3/8" below your 3" line. Doesn't have to be exact but you need some seam allowance. 7. Place your hand inside and by feel alone you should be able to make sure your strap is not twisted before you poke the end out of the corner hole. Here you can adjust to the desired length by pushing the strap up towards the side seam and following it all the way towards the corner. I poked my strap out about 1/4". Again, I'm using a 20" zipper so you may want to poke a bit more of your strap out for a 22" zipper. 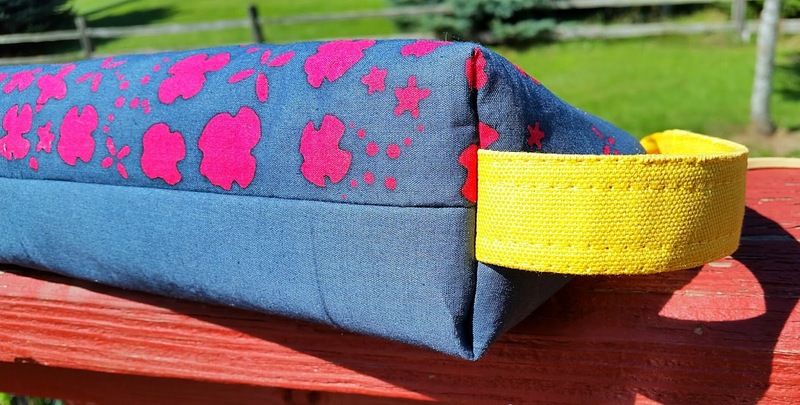 Once you decide on the strap length, sew on the 3" line you drew to complete your boxed corner. 8. 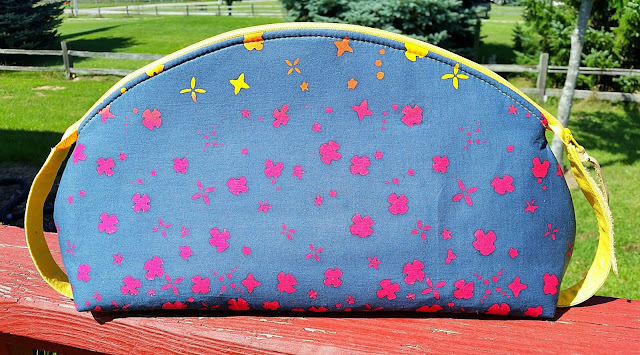 Continue on with the pattern directions to finish your Pampering Pouch! Thanks Leslie for sharing your tutorial! If you'd like to make your own Pampering Pouch, you can find the pattern here in my store!